“It is simply not seen as a priority by most businesses”. These were the views of Sophie Chirez of DNV GL at this week’s All-Party Parliamentary Group on Energy Costs. A lack of data is a big issue. Companies just don’t have visibility on their energy use. With some simple monitoring and assessment, decisions on implementing a range of possible efficiencies would be empowered. People see Energy as a technical issue, but it’s more than that, they need to engage the whole organisation in energy efficiency, and the tech people need to develop soft skills to get other departments on-board. These views were echoed by Dan Meredith of EDF. People will spend ages trying to negotiate a few fractions of a pence off a bolt, but they simply do not have the data to understand their energy use. Generally, around once a year their energy contract gets re-negotiated, and apart from that, it is mostly forgotten. Energy needs to move from this yearly discussion into being a strategic investment. Dan advised that the same family living in different grades of energy efficient housing can pay as little as £500 a year to as much as £2000. More needs to be done in energy schemes to help transition houses into more energy efficient premises. For every pound invested in energy efficiency schemes, Dan advised that £3 is generated along with circa £1.20 in tax revenue. It is a good investment from a Government perspective. David Weatherall of the Energy Saving Trust suggested several ways the government could look to promote and help facilitate a move to more energy efficient properties. David explained that it is far easier to lock in energy efficiency with a well-insulated and performing home than it is to change the behavior of the occupants. We were advised about several recent positives, such as the complete ban on gas boilers in new homes from 2025, and the new regulations requiring landlords to ensure certain energy efficiency standards. However, whilst the Government are making positive noises, far more concrete action is needed urgently to support energy efficiency measures and our transition to a low carbon economy. Several initiatives and ideas were tabled and discussed in a lively Q&A session, from Stamp duty return mechanisms and VAT discounting schemes to green mortgages and smart meters. 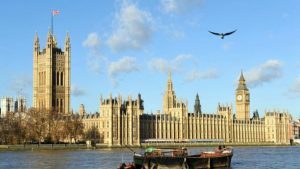 It was also discussed that rather than energy efficiency being the domain of BEIS it actually cuts across a number of Government departments, from housing and planning to the treasury and health. It was generally agreed that this was one of the reasons a properly joined up and effective approach had failed to materialise, with a number of piecemeal schemes getting launched and then removed in recent years, such as The Green Deal and the ECA. Sophie Chirez was asked if there are other European countries doing better in this area, and we learned about tax incentives in Germany and the need for businesses to regulate not just with an ESOS style audit, but alternatively by implementing an EMS; both being valid routes to compliance. France was also helping up as being progressive, with low emissions and effective schemes stimulating electric transport and energy efficiency. The sheer number of options for a homeowner was highlighted, and David Weatherall advised that in Scotland advisors are available to go out to homeowners to help them develop a strategy to improve the energy efficiency standard of their homes; there is however no similar scheme currently operating in England, Wales or Northern Ireland, mostly due to a lack of funding. The meeting closed with a consensus of all parties present to collectively engage government and press for the changes discussed. Full minutes of the meeting will be available on the APPG web site at www.APPGEC.org.uk in a few days. For those not Familiar our company has a loose affiliation with the APPGEC, and members are invited to attend APPGEC sessions and events. Several Fuellers we in attendance on Tuesday for this month’s conversation session. Please keep an eye out for calling notices to future APPGEC events. They are well worth attending, but numbers are limited so please respond swiftly if interested to come along. 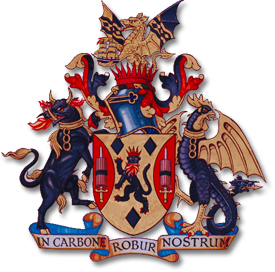 The next panel meeting will be on 23rd April (The evening before our Election Court Lunch at Mercers Hall) and the subject will be ‘The future role of Nuclear energy in the UK’. Speakers will be from Rolls Royce, EDF and BEIS. One not to miss! !